Easter is just a few days away and you’re probably already wondering what to do with all of that leftover ham? 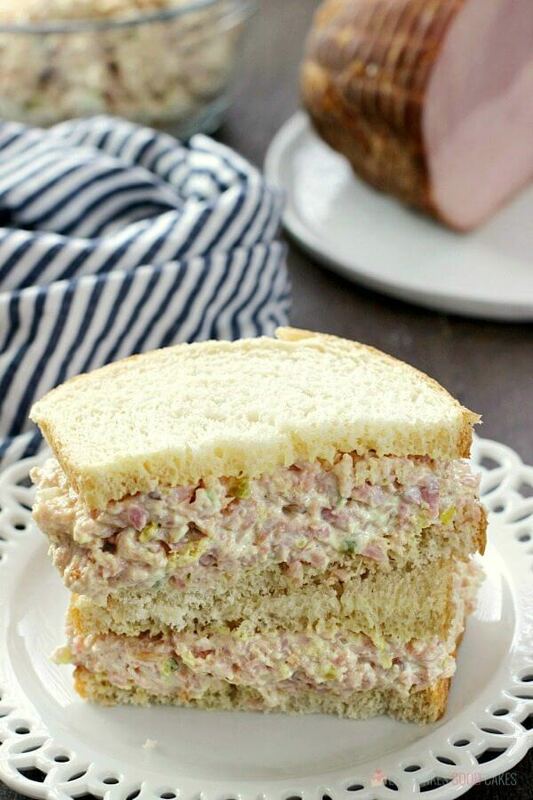 Today, I’m sharing one of my favorite recipes that use leftover ham with this Iowa Ham Salad. It’s so easy to make and I love that it can be used on crackers or in sandwiches! Put those leftovers to good use! I’ll be the first to admit that our family doesn’t really eat too much pork. Brian and I are big fans of chicken so we tend to eat a lot of it. However, a ham almost always makes an appearance for holidays like Easter, Thanksgiving, and Christmas. Inevitably, I always buy too much leaving us with plenty of leftovers. Not a bad thing, friends. Back when I lived in the Midwest, I realized that pork was very popular and they had some pretty awesome ways to use up leftover ham. Ham loaves and ham salad being two of my favorites. Can I freeze ham salad? If frozen immediately after making or within 24 hours of making, it should be okay in the freezer up to 2 months. How long is ham salad good in the refrigerator? I would suggest using ham salad within 3-5 days. Some folks like to add boiled and chopped eggs to their ham salad – totally not my thing, personally ….. but if you like the idea, 2 or 3 boiled and chopped eggs can be added to the recipe below. I’ve also been known to add ham salad to leftover elbow macaroni for a quick lunch. 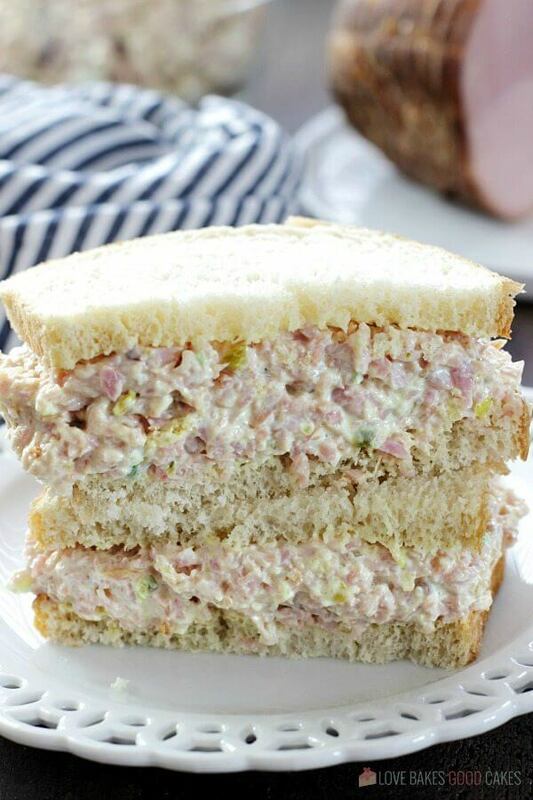 Iowa Ham Salad - Put those leftovers to good use! It's great for sandwiches - or put it on crackers for an easy lunch or appetizer idea. Using a food processor makes it super simple to mix this up! 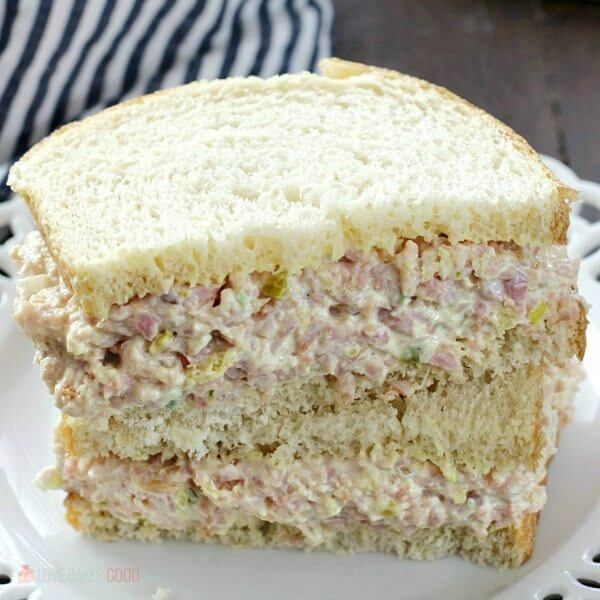 Love ham salad. It's one of my favorites. I can't wait to make ours. Jamie – yum! 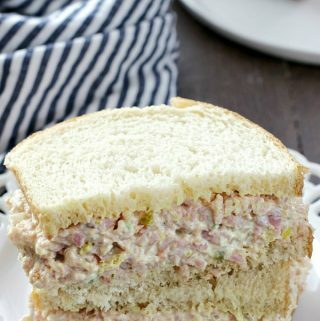 I absolutely love ham salad and can you believe I've never made it? Now I have no excuse! 🙂 Thanks for sharing your recipe – pinning and sharing! I hope you had a wonderful Christmas with your family and enjoy the rest of the holiday – it's hard to believe it will soon be 2014! Looking forward to a fun, new year with all of my incredible and talented blogging friends! Hugs! This looks delicious. My mom made this with leftovers. I have to do this. This sounds really great Jamie. My mom used to make hers with mayo and grated dill pickles. Also a winner. I saw this on the Appetizer Linky party and had to stop in and take a look. I'm getting ready to make my mom's ham salad for a blog post, so was anxious to see your recipe. This is pretty close to what she makes and I think it's delicious. And yes, she did put hard boiled eggs in hers. Happy New Year, and nice to meet your through the party. I have never heard of ham salad before. But what a good way to use up leftovers! Thanks for linking up to Saturday Dishes! Hope to see you next week. Jamie, I love appetizer type food and great for New Year's. Sounds and looks good, pinned and sharing on Facebook. Thanks for sharing at Tuesday Trivia. Love the new look of your blog, very pretty! Thanks for linking to What'd Y9u Do This Weekend. I made the salad and I have leftovers for a game day lunch! Your Ham Salad looks delicious, we just love ham salad. Thanks so much for sharing it with Full Plate Thursday today! 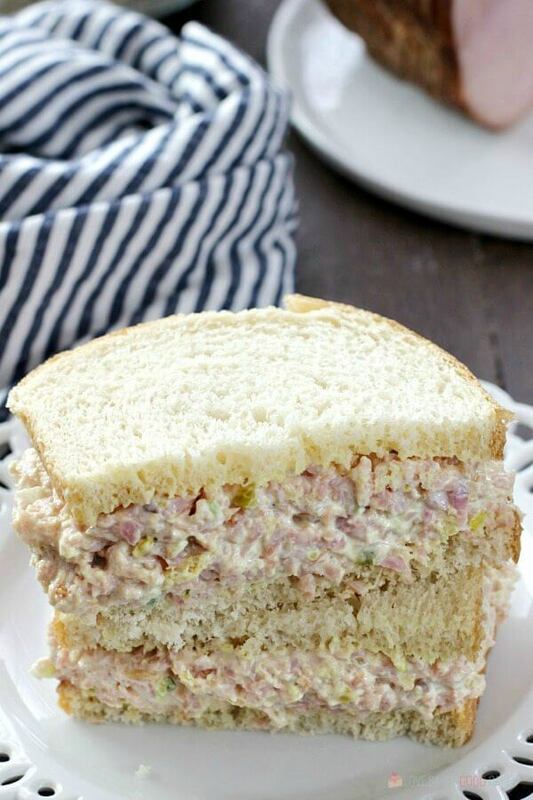 It's 4am and you've got me craving a ham salad sandwich! Thanks for sharing at Inspire Us Thursday on Organized 31. I think the leftovers are one of the best parts of the holidays and those Iowans know their way around pork. Your ham salad looks delicious and I can’t wait for those leftovers! Oh man, mom used to make it (with a meat grinder, the food processor of yore) and yes with the eggs. I like it either way. Thanks, as I had looked everywhere for her recipe with no luck.